It's The Ultimate Kids Events Round-Up In Marin And Beyond of perfect picks for holiday events this weekend. Christmas is just around the corner and the start of Chanukah is on the evening of Tuesday, December 16 and there are so many great things to do. Snow Days Family Fundraiser, 10am-4pm, Explore the Museum transformed into a winter wonderland, complete with REAL SNOW! Play in the snow, learn the science of snow and participate in special winter-themed activities and programs, Bay Area Discovery Museum. Christmas Circus, 6-7:15pm, performs the Magic Box show, Marin County Mart, Larkspur. Holiday Storytime and Ornament Making with LeUyen Pham, 5pm, reads from her new holiday book, The Twelve Days of Christmas, diesel Bookstore, , Marin County Mart, Larkspur. Sing and Dance with Miss Kitty, 10:30am, ages 8 and under, San Rafael Library. Winter Fest, 5-7pm, photos with Santa, music, arts & crafts, face painting, bouncy house and more, Marinwood Community Center. Raise the Youth, 7pm, benefit the Throckmorton Youth Performers, Throckmorton Theater, Mill Valley. Mayflower Chorus: Holiday Performance, 8pm, Showcase Theater, San Rafael. Home Alone: Feature Film with the San Francisco Symphony, 7:30pm, Davies Symphony Hall, San Francisco. Creekside Restoration with Save The Bay, 9am – 12pm, ages 5+, learn about the history of San Francisco Bay and Creekside Marsh, and be a part of a community-based effort to enrich important habitat areas of Hal Brown Park! 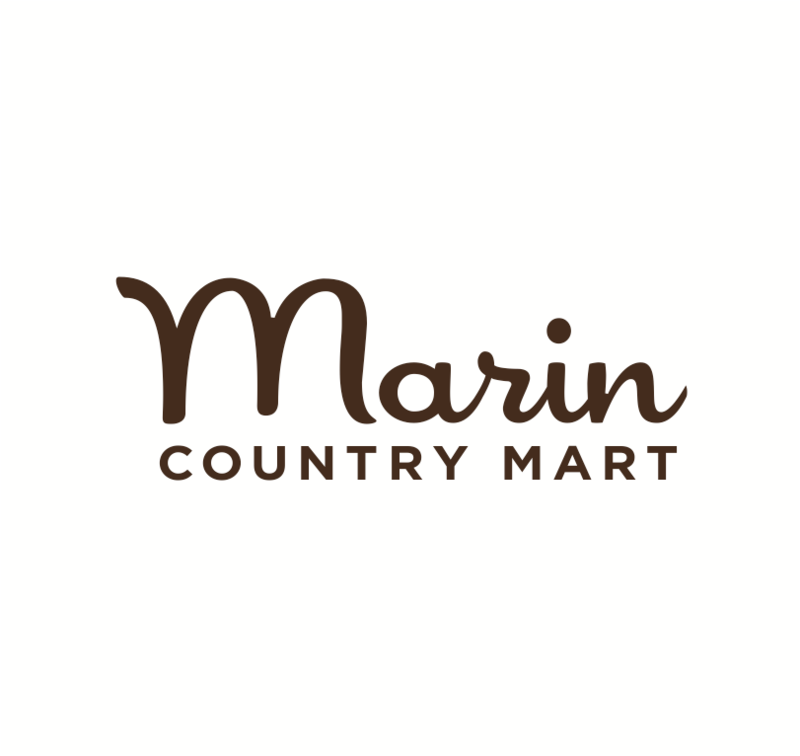 Marin Country Mart and Farmers' Market, 9am-2pm, fun, family-friendly activities including complimentary photos with Santa, children's entertainment, holiday cookie decorating, and more, Larkspur. Tour the Bay Model, 10am-12:30pm, one hour tour followed by a short walk along the bay and lunch in the park, Bay Model, Sausalito. Wreath Making Workshop, 10am-1pm, ages 7+, bring the beauty of nature to your front door with a festive, homemade wreath! Sipping hot chocolate, listen to holiday tunes, and creating your own natural wreath to take home. Fresh greenery, pinecones and other natural materials will be provided. You may bring your own decorations to use, McNears Beach, San Rafael. STEAM Saturdays, 11-11:45am, Preschool Tool Technology, ages 3-6, stories, rhymes, songs, crafts, experiments, and sensory experiences, San Rafael Library. The Amazing Bubble Man, 1pm, Sweetwater, Mill Valley. Surprise & Delight, 12-2pm, 2-person circus act, Coventry and Kaluza, Village at Corte Madera. A Cookie for Santa with author Stephanie Shaw, 12pm, a smart cookie who avoids becoming Santa's midnight snack, Book Passage, Corte Madera. Panera Holiday Cookie Decorating Party, 2-4pm, Decorate you own mitten shaped cookie, Northgate Mall, San Rafael. Lemony Snicket & Marcus Shelby, 12:15pm, Lemony Snicket joins Bay Area bass legend Marcus Shelby and a star-studded jazz cast in an homage to the saxophone great John Coltrane, Miner Auditorium, 201 Franklin Street (at Fell), San Francisco. Restoration with Presidio Park Stewards, 9-10:30am, a planting season kick-off event in the Tennessee Hollow Watershed. Help to restore the beauty of the Presidio by planting native plants in this vital riparian area. Holiday Crafts Day, 10am-2pm, roll your own beeswax candle, make a candle holder, scented soap, candy house and more, Randall Museum. History for Half Pints, 12-4pm, make a card and celebratory banner, contribute of ongoing art project, California Historical Society, San Francisco. Presidio Field & Forest Wreath & Garland Workshop, 11am-4pm, make a unique "field & forest" wreath made entirely from natural materials collected from around the Presidio, Pershing Square (near the Officers' Club) on the Main Post. Creative Family Fun, 10am-3pm, ages 5-12, catch a breeze, imaginative craft-making based on the Presidio’s natural and cultural heritage, Presidio Officers Club, San Francisco. Winter Fest, Lighted Boat Parade and Fireworks and children's activities, Sausalito waterfront. San Rafael Lighted Boat Parade, 5:30pm, The parade starts just outside the San Rafael Canal and passes by the Marin Yacht Club on its way to the turning basin just in front of the San Rafael Yacht Club. Parol Lantern Festival, 5-9p, Yerba Buena Gardens. Holiday Celebration, 9-2pm, fun, family-friendly activities. Join us for writing and sending a letter to Santa, complimentary photos with Santa, children's entertainment, holiday cookie decorating, face painting, and seasonal music and caroling, Marin Country Mart, Larkspur. Let It Snow, 10am-5pm, The Green on Sherman, Novato. Beginning Birding, 9:30am, Rodea Lagoon, Sausalito. Marine Mammal Science Sunday, 10am-5pm, Seals & Sea Lion Superstars of 2014!, Marine Mammal Center, Sausalito. Home Depot Menorah Workshop, 10am, build your very own wooden menorah, Home Depot, San Rafael. Bird Box Build, 11am – 12:30pm, construct (and decorate) a bird house to take home for the birds in your own backyard, McInnes Park, San Rafael. Holiday Party at Sprout, 11am-1pm, pictures with Santa, music, champagne and organic treats, Mill Valley. Surprise & Delight, 12-2pm, Jeremy the Juggler, Village at Corte Madera. Grandma, Aren't You Glad the World's Finally in Color Today with author Lori Stewart, 1pm, a story in rhyme that takes readers on a “then and now” journey through time, Book Passage, Corte Madera. The Juggling Genius Daniel DaVinci from the Raspyni Brothers, Illusionist and Magician, Randall Museum, San Francisco. Peter and the Wolf, with Rita Moreno, 1pm & 4pm, San Francisco Symphony, Davies Hall, San Francisco. Creative Family Fun, 10am-3pm, ages 5-12, catch a breeze, imaginative craft-making based on the Presidio Officers Club, San Francisco. Preschool Super Fun Sundays: Mr. Lunch’s Hanukkah Party with Isaac Zones and Shamati, 10-11:30am, Celebrate Hanukkah with music, art, and stories, Contemporary Jewish Museum, San Francisco. Maker Hanukkah, 1-3pm, creating a lantern inspired sculpture using LED lights and paper. Great asa gift or to place in your window at night, Contemporary Jewish Museum, San Francisco. Story time with Elisa Klevin, 11:30am-12:30pm, Contemporary Jewish Museum, San Francisco. Sunday Sampler, 1pm, free, Taught by professional theatre artists, our classes offer people of all ages and abilities an opportunity to explore the craft of theatre and experience the joy of dynamic engagement with their own creativity, Berkeley Rep, 2071 Addison St.
Festival of Lights, Marin Osher JCC, San Rafael. A Merri-achi Christmas, 8pm, Davies Symphony Hall, San Francisco. Peter and the Wolf, 1pm & 4pm, San Francisco Symphony Youth Orchestra and legendary actress Rita Moreno. Symphony Pops: A Very Merry Holiday Pops, 3pm, Wells Fargo Center for the Arts, Santa Rosa. Holiday Fun in Fairfax, 2pm -5pm, gathering to carol, create wreaths, potluck and enjoy the holiday spirit with your neighbors, Women’s Club, 46 Park Road, Fairfax. Festival of Lights, 11:30am-2:30pm, Hanukkah Party Celebration including food, arts & crafts, music by Miss Kitty, bouncy house, menorah lighting and more, Marin Osher JCC, San Rafael. Oakland Museum Winterfest! 12-3pm, Explore the traditions honored in celebrations including Kwanzaa, Hanukkah, and Mexican Christmas through hands-on art activities for the whole family.